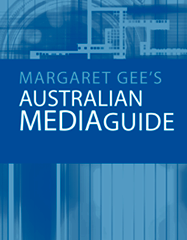 Margaret Gee's Media Guide is a comprehensive listing of all Australian newspapers, magazines, TV and radio stations along with contact details for key journalists, editors and other media contacts. Key business database that provides access to full-text, peer-reviewed articles from advertising, public relations, communication and more. Search for peer-reviewed, full-text articles and chapters from many areas of business, including management, marketing and public relations. Provides access to full-text, peer-reviewed content on creative advertising, communication design, journalism, media, public relations and language studies. Provides access to the full-text from several peer-reviewed journals published by SAGE and participating societies. Subject coverage includes journalism, mass communication, cultural studies, television/film studies, media and written communication. Find peer-reviewed articles and other digital information in a variety of formats from a wide range of subject areas. Subject coverage includes media, communication, humanities, culture and politics. Search for peer-reviewed articles from scholarly journals and information from encyclopedias and e-books. Australian database providing access to full-text, peer-reviewed journal articles about current affairs, humanities, media, literature and social sciences.